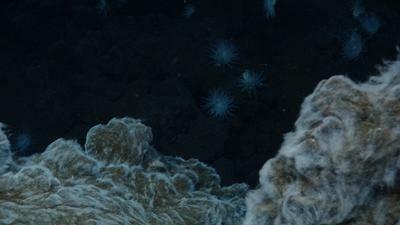 New research involving scientists from University of Southampton and the National Oceanography Centre (NOC) has identified a crucial process behind the reason why dissolved organic carbon (DOC) levels in the deep oceans are constant despite a continuous supply from the surface ocean. The pool of dissolved organic carbon (DOC) in the oceans is as large as all of the carbon in the atmosphere. Phytoplankton, which remove CO2 from the atmosphere and convert into more complex carbon compounds, are the primary source of DOC in the ocean. Deep ocean DOC concentrations are almost constant throughout the world’s oceans and are thought to be resistant to biological breakdown. However, with the continuous DOC supply from the surface oceans, concentrations in the deep sea are not increasing. 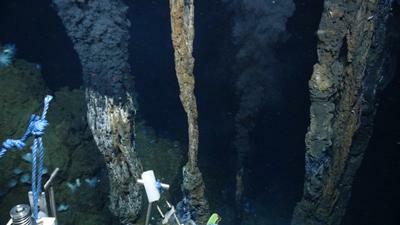 Research published in the journal Nature Geoscience highlights the importance of deep ocean water circulation through hot hydrothermal systems as one of the main removal processes in this environment balancing the supply. 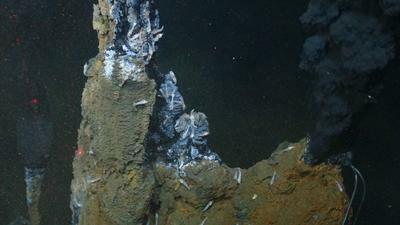 The research was led by marine chemist Dr Jeff Hawkes, from the National Oceanography Centre (NOC), who took part in two UK research cruises to hydrothermal vent sites on the RRS James Cook conducting seafloor sampling using the deep ocean remotely-operated vehicle (ROV) Isis. Eight academic institutions world-wide contributed to this research with data from other vent sites. The field work was complemented with high-temperature high-pressure experiments in the laboratory to replicate the hydrothermal observations and to suggest mechanisms for the processes.